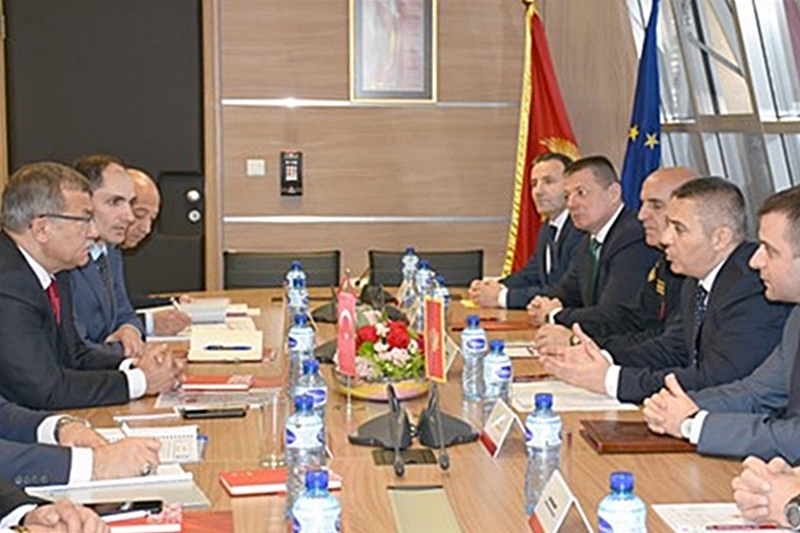 "Cooperation between Montenegro and Turkish police has yielded concrete results"
The Director of the Montenegrin Police Directorate, Veselin Veljović, and General Director of the National Police of Turkey, Celal Uzunkaya confirmed at a meeting on Tuesday the professional and quality cooperation of the police of the two countries, which so far has yielded concrete results on the suppression of international organized crime. During the meeting in Podgorica, Veljović stressed that the Montenegrin and Turkish police have implemented a number of significant projects in the past period. In particular, he highlighted the cooperation of the police of Montenegro and Turkey, through NCB Interpol Podgorica and NCB Interpol Ankara, in targeted searches. In one such activity, based on the information collected and exchanged by the Montenegrin police, a known leader of one of the organized criminal groups operating on Montenergrin territory and other countries was recently detained in Turkey. The Turkish National Police Director General Jelal Uzunkaya expressed his satisfaction with the cooperation of the police of Montenegro and Turkey and said that it was very intensive and qualitative, with measurable results, especially on detecting and preventing the smuggling of drugs and other transnational crimes. Veljović and Uzunkaya also discussed the issue of managing illegal migration, which is a current challenge for the countries of Europe and beyond, and agreed that the police of Montenegro and Turkey intensify their contacts in cooperation, in order to exchange information in the field of monitoring and joint action in solving this issue. The Police Directorates of Montenegro and Turkey expressed their willingness to intensify cooperation between the two countries in the areas of religious radicalism, terrorism and the monitoring of foreign fighters’ issues and their participation in foreign warfare, as well as drug smuggling on the international level and smuggling of people.